The Great Northern Expedition ( Russian: Великая Северная экспедиция) or Second Kamchatka expedition ( Russian: Вторая Камчатская экспедиция) was one of the largest exploration enterprises in history, mapping most of the Arctic coast of Siberia and some parts of the North America coastline, greatly reducing "white areas" on maps. 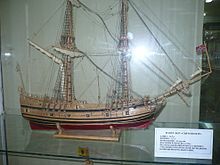 It was conceived by Russian Emperor Peter I the Great, but implemented by Russian Empresses Anna and Elizabeth. 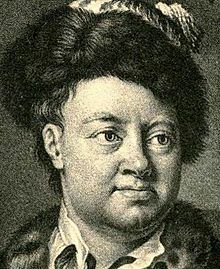 The main organiser and leader of the expedition was Vitus Bering, who earlier had been commissioned by Peter I to lead the First Kamchatka expedition. 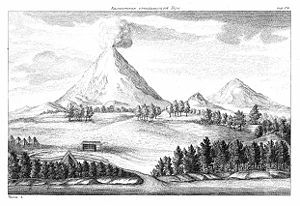 The Second Kamchatka Expedition lasted roughly from 1733–1743 and later was called the Great Northern due to the immense scale of its achievements. The participants in the academic portion of the expedition were answerable not to its leader Bering, but to the St. Petersburg academy. Each of the professors received a precise commission in regard to the accomplishment of his research program. The directions given to Croyère and his geodesists were written by his brother Joseph Nicolas. Gmelin wrote the instruction for his own research work in natural history. 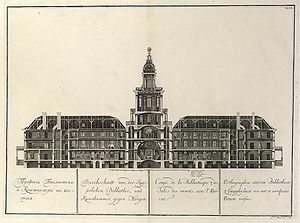 He received further instructions from the anatomist Johann Georg Duvernoi (1691–1759), who had been part of the teaching faculty in Tübingen, as had Georg Bernhard Bilfinger. Among other things, Duvernoi wanted to find out whether the peoples of Siberia could move their ears, whether their uvulas were simple, or split into two or three parts, whether Siberian males had milk in their breasts, etc. 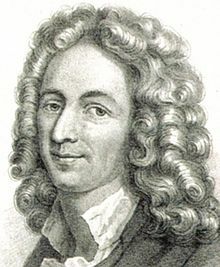 The physicist Daniel Bernoulli (1700–1782) authored instructions intended for Croyère and Gmelin about the carrying out of series of physical observations. The historian Müller drafted his own plan of work. His chief goals consisted of researching the history of all the cities the expedition would visit and collecting information about the languages of the groups they would meet along the way. The painters Johann Christian Berckhan (died 1751) and Johann Wilhelm Lürsenius (died around 1770), both of whom were part of the academic component, got special instructions. The academy directed all the researchers to prepare reports about the state and the results of the expedition in Russian and Latin. The academic component of the expedition was provided with many astronomical, geodesic, and physical measuring instruments to pursue its research. The governor of Siberia and the various local authorities were ordered to provide the researchers all the aid they required. On July 15, Chirikov sighted land, probably the west side of Prince of Wales Island in Southeast Alaska. 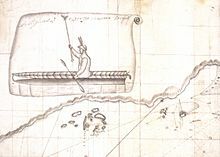 He sent a group of men ashore in a long boat, making them the first Europeans to land on the northwestern coast of North America. When the first group failed to return, he sent a second, which also vanished. Chirikov weighed anchor and moved on.